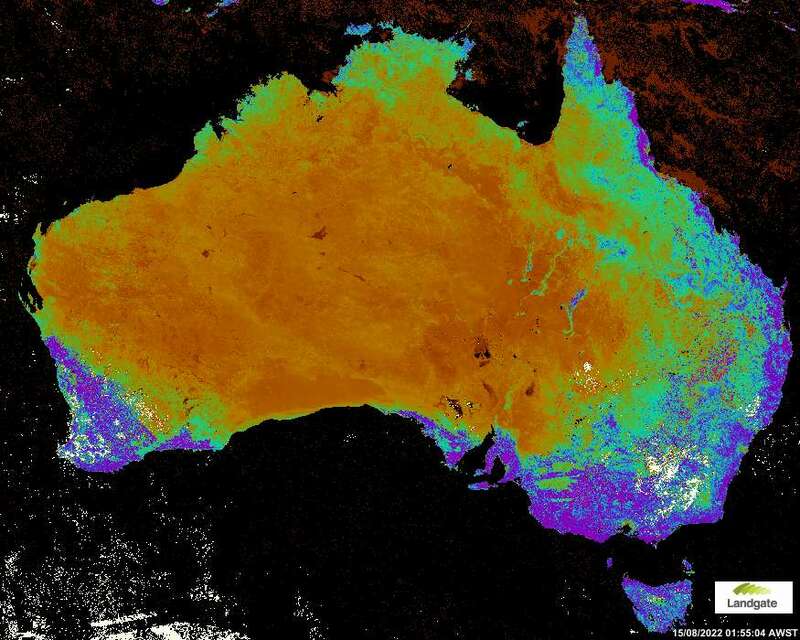 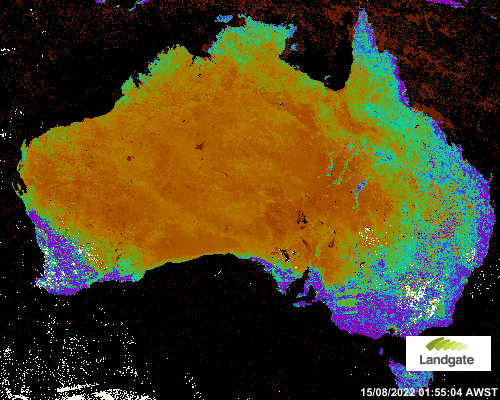 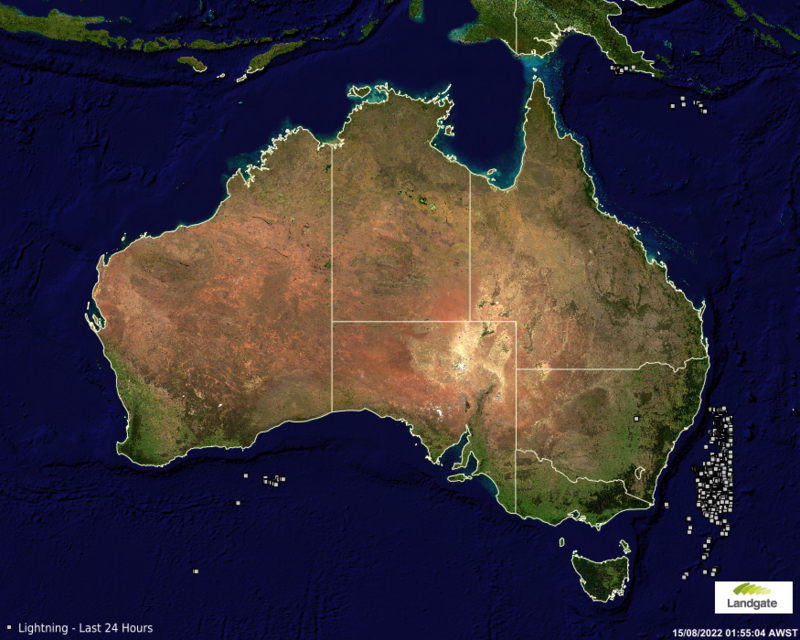 FireWatch uses satellite instruments to detect current fire hotspots on the ground across Australia, providing the most up to date information to both fire management agencies and the general public. 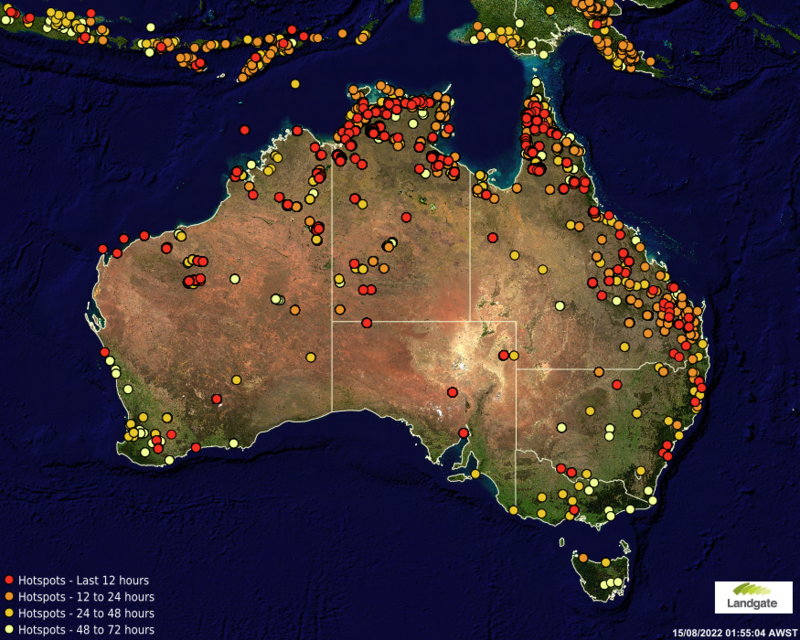 This graphic shows the currently detected fire hotspots around the country, to take a more indepth look, explore the FireWatch application. 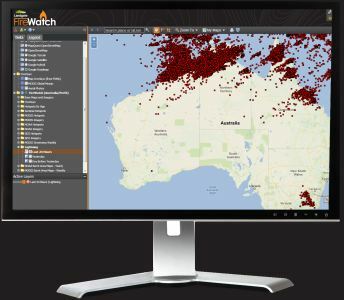 In cooperation with our partners, the Department of Fire and Emergency Services (DFES) and the University of Western Australia, the Aurora project has resulted in a state-of-the-art tool to predict expected fire behaviour on both the near-realtime FireWatch data, and customisable simulations. 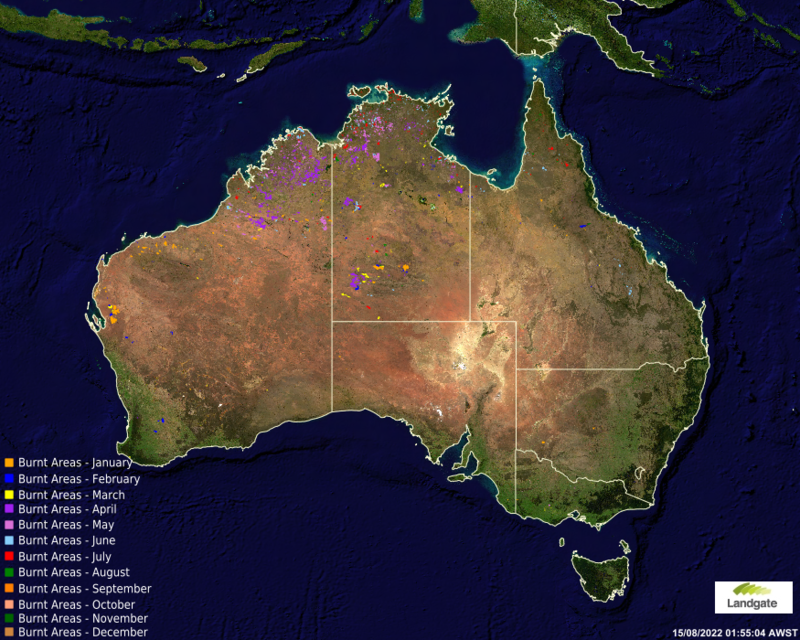 Many fires in Australia are caused by lightning. 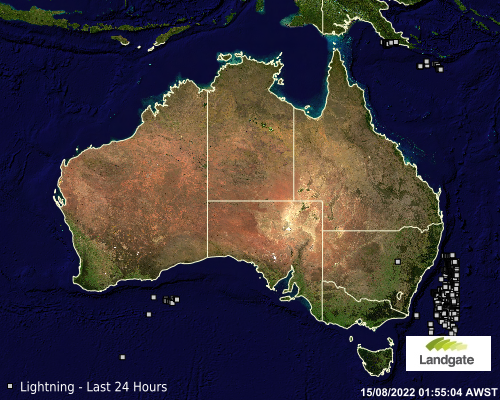 FireWatch updates lightning data every 10 minutes, showing where lightning has occurred, allowing fire management agencies to predict where fires are most likely to occur. 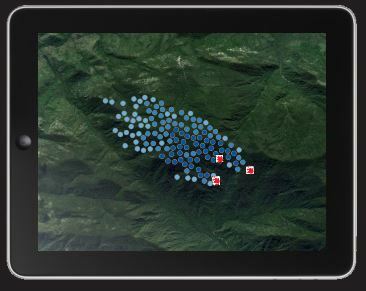 Login to launch FireWatch Pro.